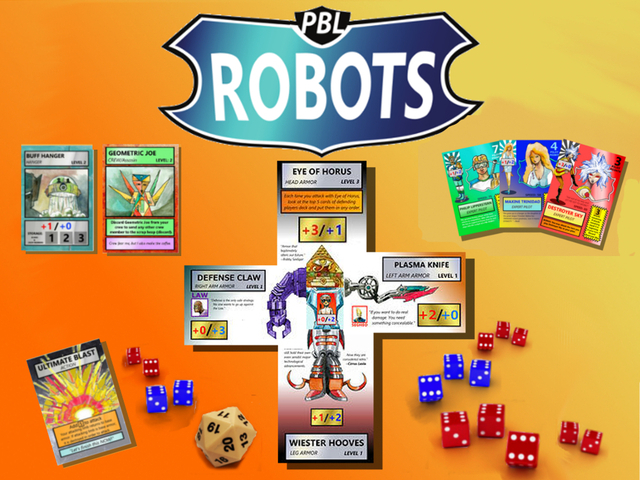 Hidden Ladder has a Kickstarter campaign up and running for PBL robots, their new competitive card game. Pro Bionics League ROBOTS is a table top game where you control a 100 foot robot and attempt to blow out your opponents robot! PBL ROBOTS has been in development for over 10 years! Now, after years of progression, the game is nearly ready to be printed. We just need your help getting through the final stage! We are very excited to be here on Kickstarter to present PBL ROBOTS to you. We hope you will be interested in supporting us.